For example, suitable for the measurement of empty rooms. 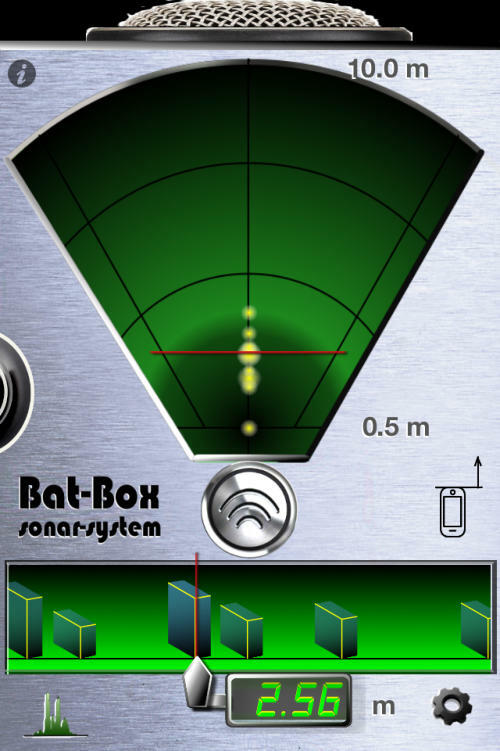 Bat-Box is an interesting and cool app that you and your friends will be amazed by. 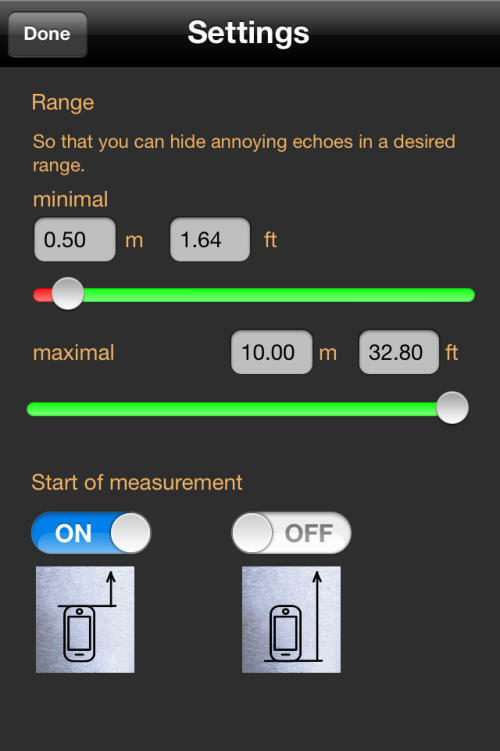 Distance Display mode: The distance to the object with the most significant echo is dispayed. 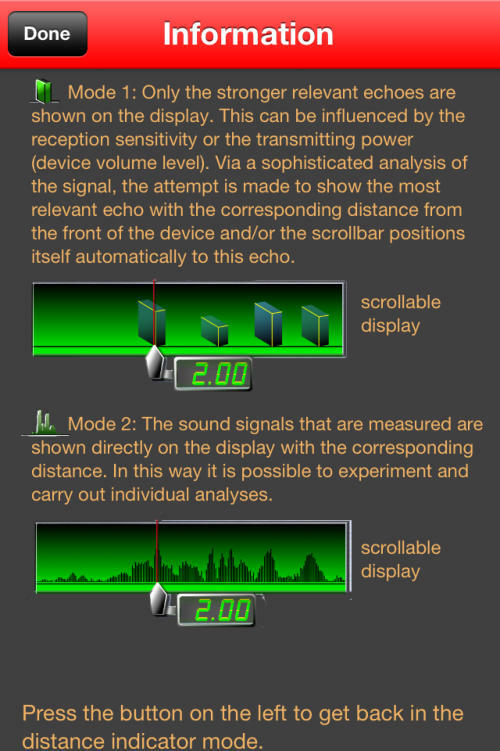 Analysis Mode 1: Only the stronger relevant echoes are shown on the display. This can be influenced by the reception sensitivity or the transmitting power (device volume level). Via a sophisticated analysis of the signal, the attempt is made to show the most relevant echo with the corresponding distance from the front of the device and/or the scrollbar positions itself automatically to this echo. 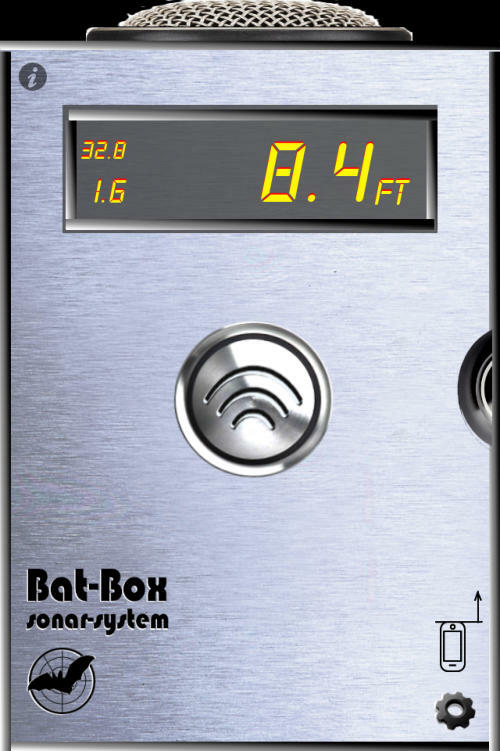 Analysis Mode 2: The sound signals that are measured are shown directly on the display with the corresponding distance. In this way it is possible to experiment and carry out individual analyses.